All three from the same snowboarding club of Ecrins Snowboard in France, they have been combining for a couple of years national podiums. 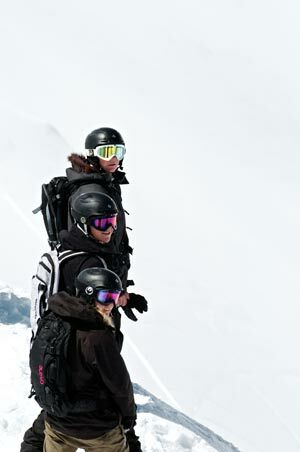 The only equivalent to the talent of these three brothers and sister is their willingness to reach the highest levels of their sport: Snowboard-cross. Little particularity of this unique family: Whilst Charlotte and William race for France, The eldest Thomas races for Great Britain… A uniqueness that does not stop them from uniting together under the banner of their local club.